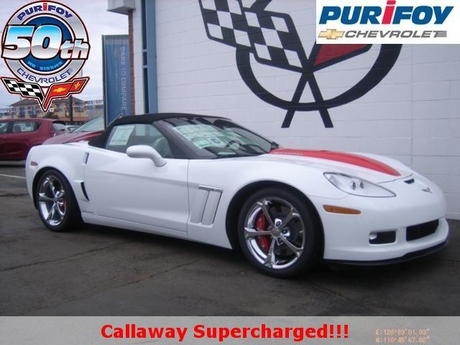 Stop by Purifoy Chevrolet to see the last two 2012 Corvettes remaining on the lot. Choose from a Torch Red Convertible or an Arctic White Callaway. Who wouldn't love to find one of these in the driveway on Christmas morning?! Contact Purifoy Chevrolet for more information on both of these spectacular vehicles. 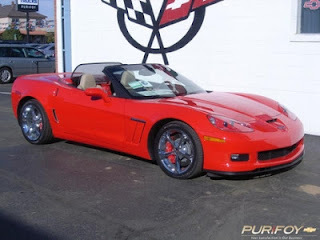 The Corvette Guys blog is Purifoy Chevrolet's online information outlet for everything Corvette. Purifoy has specialized in Corvettes for over 30 years! We carry a full selection of new and used Corvettes in stock at all times. Stingray, C7, Z06, C7R, C6, Grand Sport, ZR1, and Corvette are everyday terminology at Purifoy Chevrolet! Last chance for Z06 and ZR1 for a while!